Submit with $10 registration fee by 7 PM on Thursday, April 11, 2019. Email klara@kaddatzgalleries.org or leave a note on the FB event with any questions. You may register teams of 2-5 participants (team includes model), ages 14+. Teams with minor participants must have one member 18+. Application deadline: Thursday, April 11, 2019 at 7 PM. Application fee per team: $10 (non refundable, pay online through form or in person*). *Checks can be made out to the Kaddatz Galleries but must be dropped off before the registration deadline of Thursday, April 11, at 7 PM. All designs must be made of materials that have been previously used or rescued from the trash, recycling bin, and/ or recycling center. Do not use materials that have not been previously used, even if you consider them trash (ex: garbage bags, plastic cups, straws, etc). The materials you use must be considered junk or must be items that would have ended up in the landfill if you hadn’t rescued them for art. Designs must be safely worn on the human body. 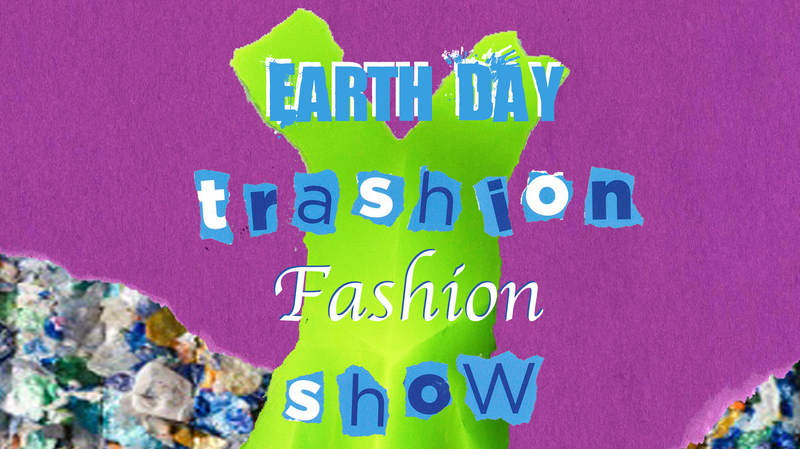 Participants are responsible for providing base clothing for the model to wear under their trashion garment. Suggested items: shorts, tank top or t-shirt, slip, leotard. Use common sense; keep your models safe, clean, and covered. All participants must be willing to be photographed and in submitting this application agree that their image may be used for publicity purposes. The event organizers reserve the right to decline participation in the fashion show if the design is not finished, is considered unsafe, is not appropriate for a family audience, not made from recycled materials or for any other reason deemed necessary. A jury of design professionals will review designs during the fashion show. Awards will be announced directly following the show. Must be present to win. Have you read and do you agree to the rules of entry? Yes, our team agrees to abide by the rules of entry. No, our team does not agree with the rules of entry. Is Team Member 1 acting as the model? Is Team Member 2 acting as the model? Is Team Member 3 acting as the model? Is Team Member 4 acting as the model? Is Team Member 5 acting as the model? If you have a song request for your team's time on the catwalk, please enter it below. If you don't have a song yet, that's ok, too! We'll follow closer to the event. Would you like to pay your registration fee online? Yes, I would like to pay my registration fee online. No, I will bring a check or cash to the Kaddatz Galleries, 111 W Lincoln Ave, Fergu Falls, MN 56537 by 7 PM on Thursday, April 11 to hold my spot.